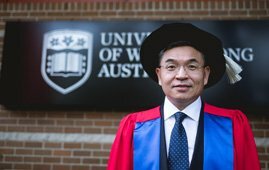 What’s it like for a Chinese-born Australian to lead a UK university? I will come to the answer to this question later. In our increasingly interconnected world, national distinctions seem to matter less and less. At one level, this statement seems to contradict the political shifts we have seen in the last couple of years across the world, with rising populism, nationalism and protectionism. At another level, modern societies globally have indeed become more diverse, multicultural and inclusive for the better. And I believe this trend will continue despite the geopolitics of today. The modern world sees more and more people with ‘hyphenated identities’: Chinese-born Australian, African-American, British-Muslim. The list goes on – which is a wonderful thing. Old barriers, prejudices and taboos are disappearing; some however, it is true, have been replaced by new ones (e.g. the recent resurgence of xenophobia and anti-immigration sentiments), but many damaging and outdated ideas are now seen for the irrelevancies they always were. This means that it is now possible for someone to be many things at once, without internal or external conflict. Having lived and worked all over the world, the international identity has come to seem natural to me: so many of us are expats, or of mixed heritage, with dual- or multi-citizenship, reconciling and enjoying two or more cultures as simply the way of life as global citizens. This is especially true at Surrey, with our multi-national population of students, staff and academics. At Surrey, we aim for a strong partnership not just with one country, but with the whole world. Being able to establish connections and open doors globally is a great advantage; post-Brexit, strong relationships with other countries are set to help and support the UK by creating a network of global partnerships that will endure. 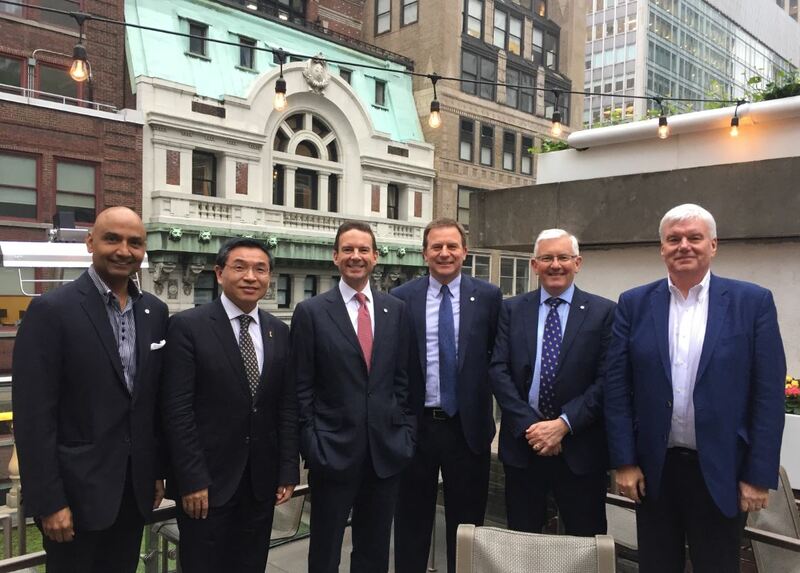 Recently I was asked to be the co-Chairman, with Lord Browne, of the International Advisory Board of the Association of British Chinese Professors, an organisation with memberships extending to several thousand Chinese British academics. This represents a strong bridge between the UK and China in education, science and technology. At Surrey, we also have many Chinese partners with whom we work to push the boundaries of science and technology to benefit the entire world. And our business school and world-leading School of Hospitality and Tourism Management have long welcomed Chinese students. With my Chinese heritage and connections, I feel privileged to be able to further Surrey’s well established and new partnerships with China, to advance the interests of the university and the global community. As an Australian citizen, developing institutional links with Australia is also particularly important to me. At age 24, with a scholarship from the University of Queensland, I was able to move to Australia to do my PhD. In Queensland, I flourished, made a home, and shaped a life and career, thanks to the kindness of the Australian people. I owe a debt of gratitude to that great nation, which I seek to pay back whenever I can. I am lucky that the feeling is mutual: Australia considers me one of her own. 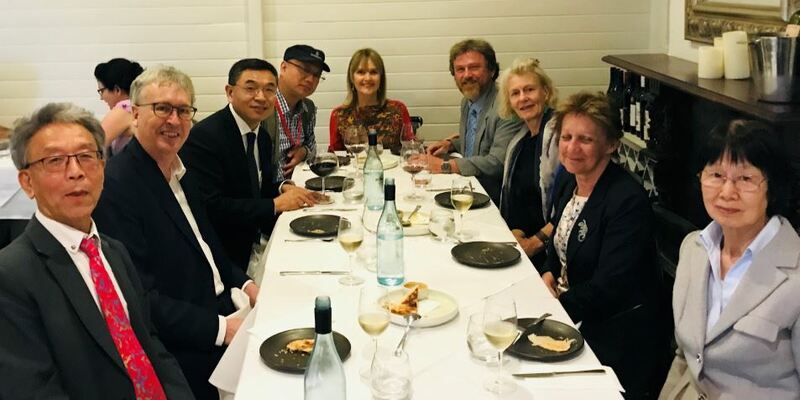 I was awarded the Medal of the Order of Australia for distinguished service to education, international research and Sino-Australian relations, and I have served on many Australian government committees and advisory boards. Recently I was humbled and honoured by the University of Wollongong with the award of Doctor of Science honoris causa. I really enjoy being a global citizen, with the freedom and opportunity this brings; I feel especially fortunate that the UK is my newly-adopted home. I joined Surrey to help realise its ambitions to establish itself as one of the world’s leading teaching and research institutions; to do this means taking a truly global approach to partnerships of all descriptions – with students, researchers, other universities and business investment. So, returning to my initial question: the answer is that leading the University of Surrey is a great privilege, and an adventure as well as a challenge – no matter what colour the VC’s passport is! Global issues call for global solutions; education and innovation are the international languages that make these solutions happen. Surrey’s own ‘global citizens’ from all over the world are the leading actors in the story of Surrey’s success.